Twas the night before the night before Christmas and all over campus… it was really quiet because all the students have gone home. 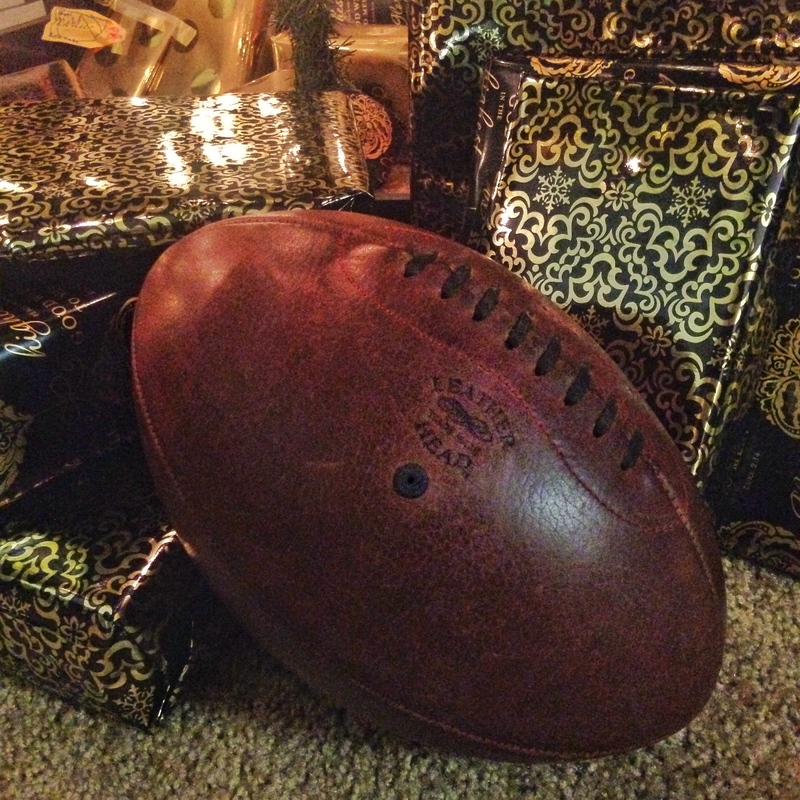 The only sound to be heard was my high pitched excited squeal as the UPS man brought me a LeatherHead Sports rugby ball. 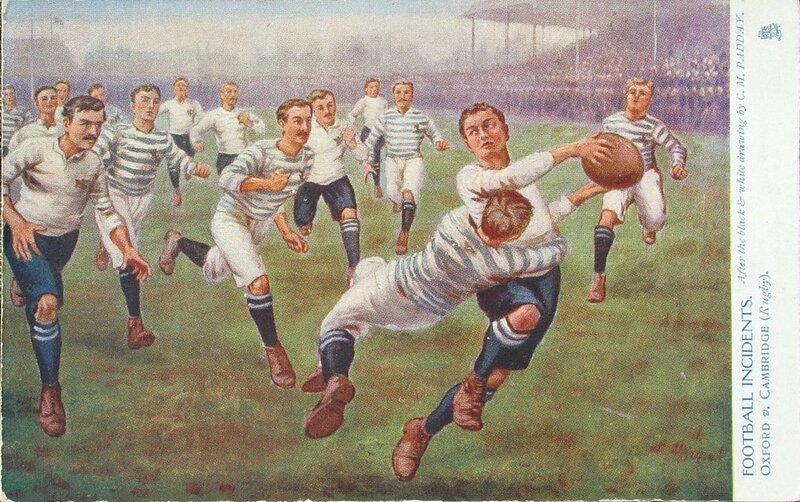 Once upon a time, in places like Oxford and Auckland men wore sports jackets to sporting events and football was called rugby. There were striped (hooped) pullover shirts with collars, bloody noses, and an inflated leather ball shaped a bit like an egg. That egg was kicked, punched, and tossed between goal posts till one day Teddy Roosevelt wielded a big stick and the NCAA legalized the forward pass. The ball flew forward better when the laces were turned inside out and the ends were made pointy. Hence those who listened to Teddy play football, and don’t get me wrong I love that game, but I respect my elders. 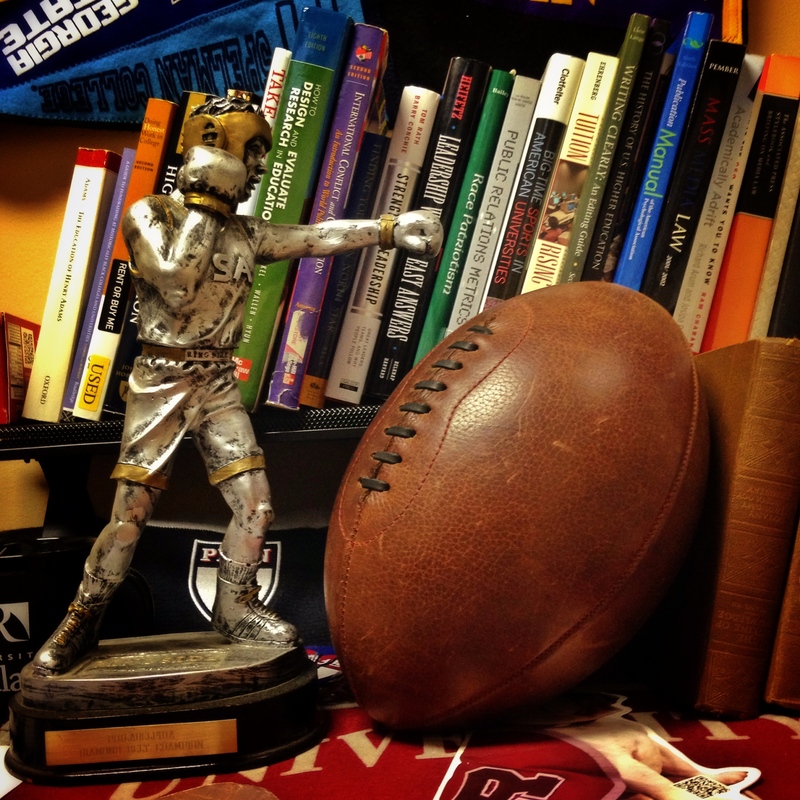 Rugby remains, but finding a ball that hearkens back to its origins is not as easy. Well, maybe it is easy if you know where to look, and where you should look, is LeatherHead Sports. 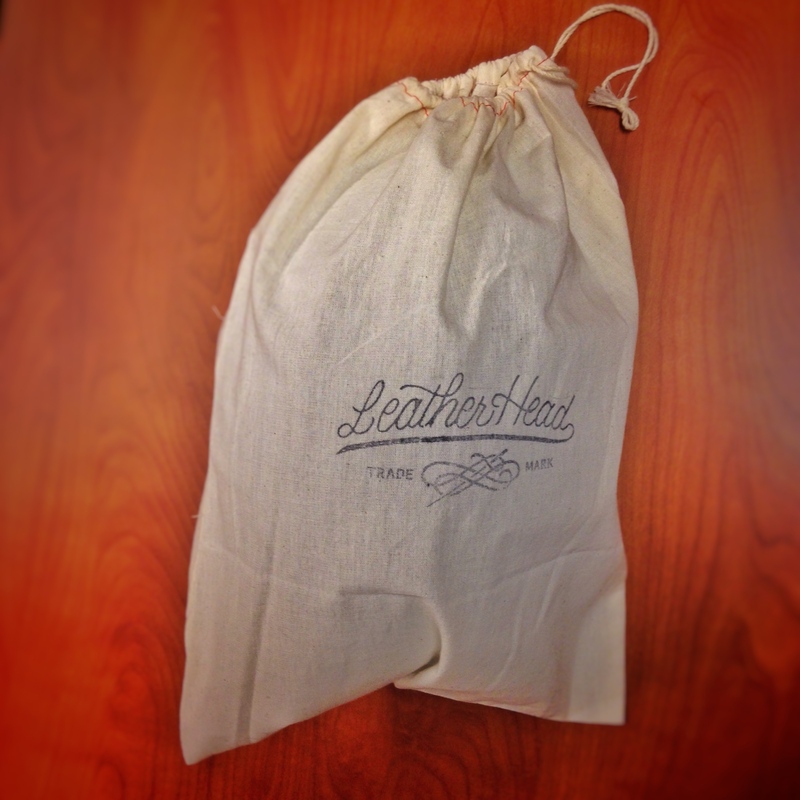 Leatherhead Sports has been featured on theartofmanliness, acontinuouslean, GQ, Esquire, and pretty much everyone mostly thanks to thier custom hand made footballs and old school baseballs. Those are great (especially the medicine balls that I currently covet), but that rugby ball is my sugar plum equivalent and if you hold on to the ball after being tackled expect your head to be danced upon. Are you taking the girls to the Rose Parade?